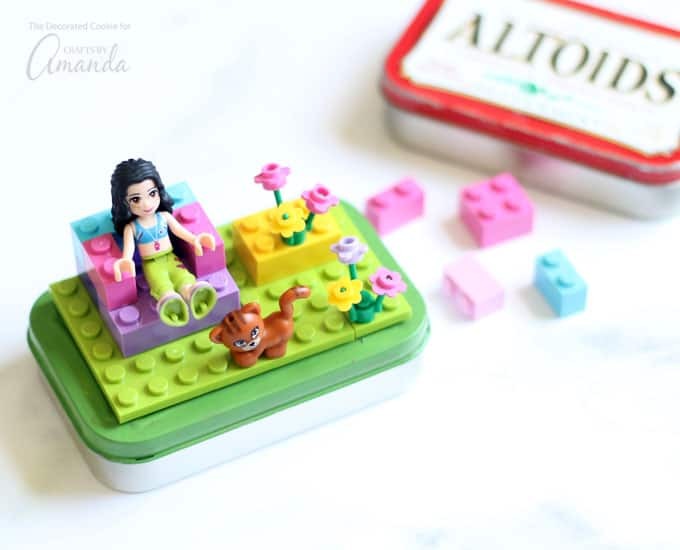 These cute LEGO Altoid tins are perfect recycled craft. They make fun mini travel kits to keep kids busy in the car or on a plane. Or, you can make up a bunch for fun birthday party favors. Save your mint tins! 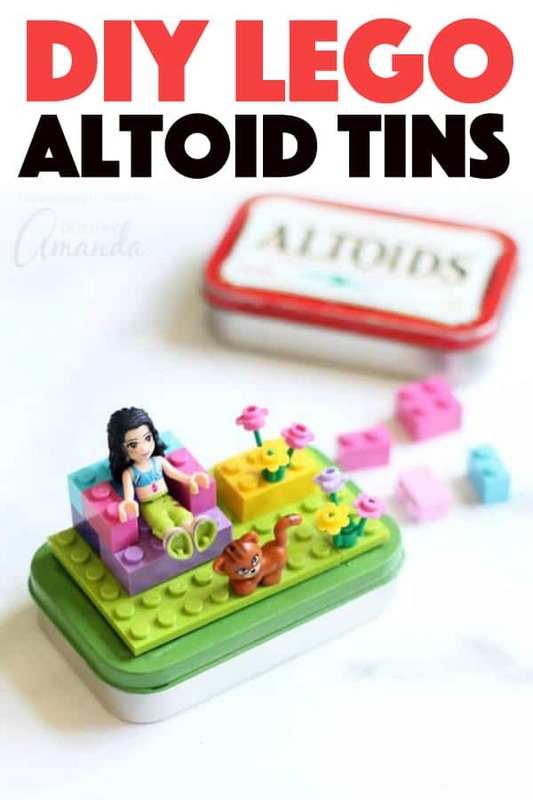 There are so many ways to upcycle your empty Altoid tins, so these cute metal boxes are worth saving. 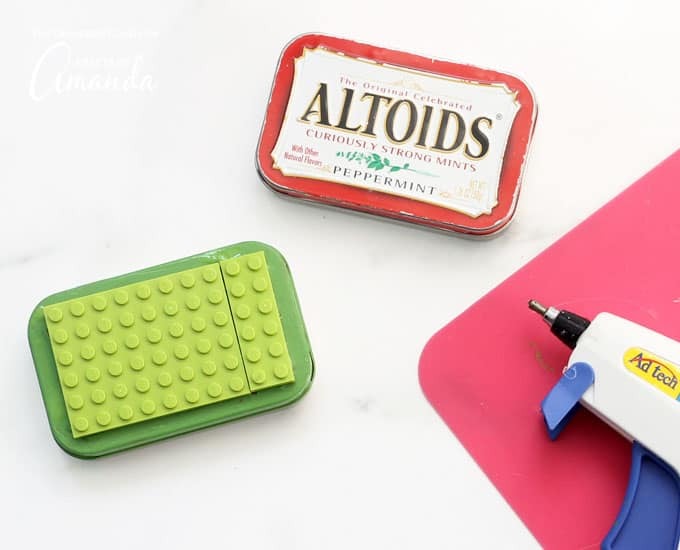 You can easily turn one into a LEGO play kit for kids, a great road trip idea or birthday party favor. 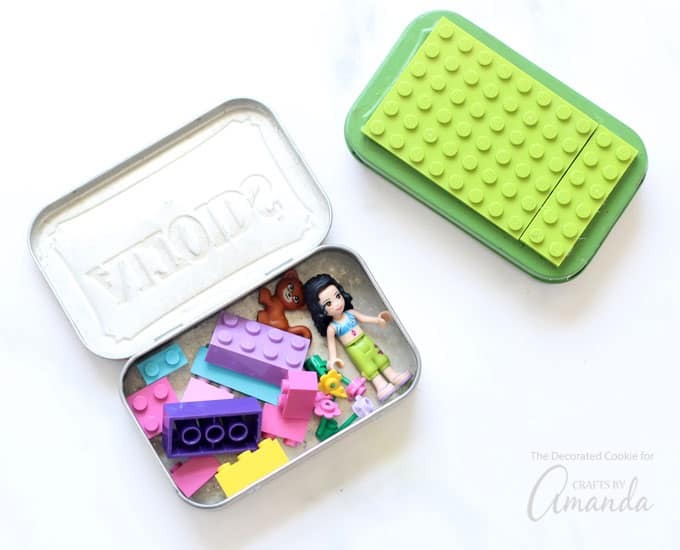 Personalize each tin with your kid’s favorite Lego sets. Love this idea? 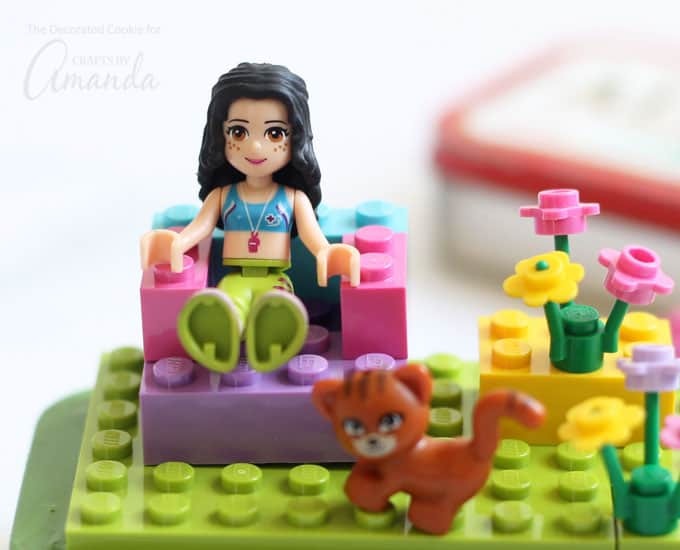 Here is a roundup of 25 awesome Lego crafts for kids and grown-ups. Or think bigger and make your kids a rolling Lego table for years of playtime fun. 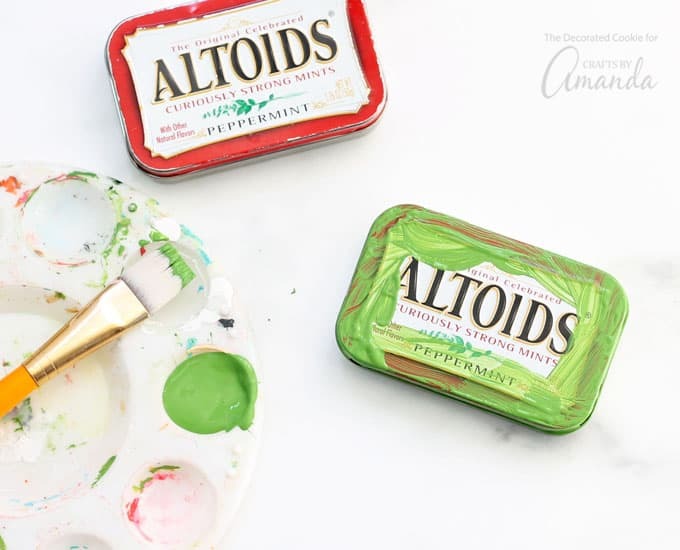 Wash your Altoid tin and let it dry completely. If you like, paint the edges of the top of the tin to cover the red design. You may also leave the tin as is. You may need two to three coats of paint. Let dry completely. Hot glue the plate (the single layer) LEGO pieces to create the base on the top. You will need pieces that total 10 notches across and 6 notches wide to fit the plate centered on the tin. Or, to cover the top of the tin completely, you’ll need pieces that total 11 notches across and 7 notches wide. I recommend the former combination, as the edges fit fully on the tin and the configuration is easier to attain with different pieces. Let the hot glue dry well. Package Lego pieces in the tin, and gift to kids! 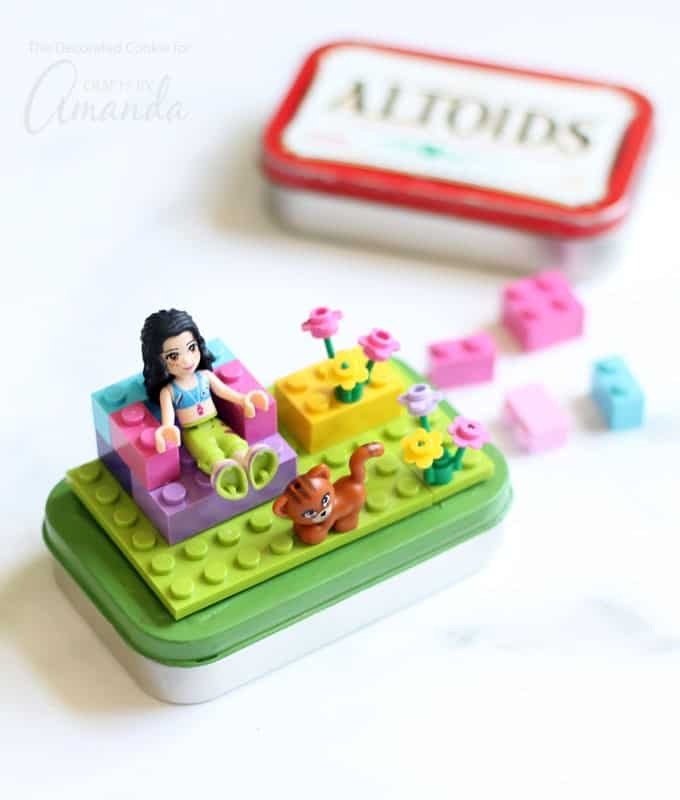 I love these cute and easy Lego Altoid tins so much, I kind of want to make a few for myself. They are awesome little kits to keep kids busy in the car or on airplane rides. 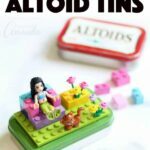 If you’re making them as birthday party favors, have the kids help make and design each tin! 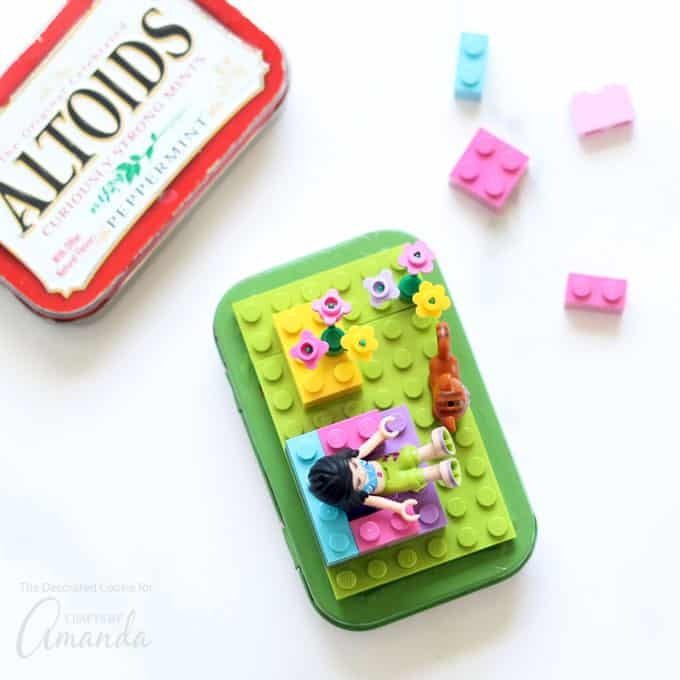 You’d be surprised how many different Lego pieces can fit in an Altoid tin. For another recycled craft idea, and one to keep the kids busy is this Four Seasons Felt Board. They can mix and match the seasons and create their our version of the perfect day! For a more adult-centered recycled craft idea- check out this Cookie Sheet Magnetic Board. Made from an old cookie sheet, you can have a DIY magnet board for your craft space, office, or school. Hot glue the plate (the single layer) LEGO pieces to create the base on the top. You will need pieces that total 10 notches across and 6 notches wide to fit the plate centered on the tin. Or,to cover the top of the tin completely, you'll need pieces that total 11 notches across and 7 notches wide. I recommend the former combination, as the edges fit full on the tin and the configuration is easier to attain with different pieces.